Can I adjust the font size if I need to record at a distance? Yes! Simply click the "Aa" button to open the teleprompter text and font menu. 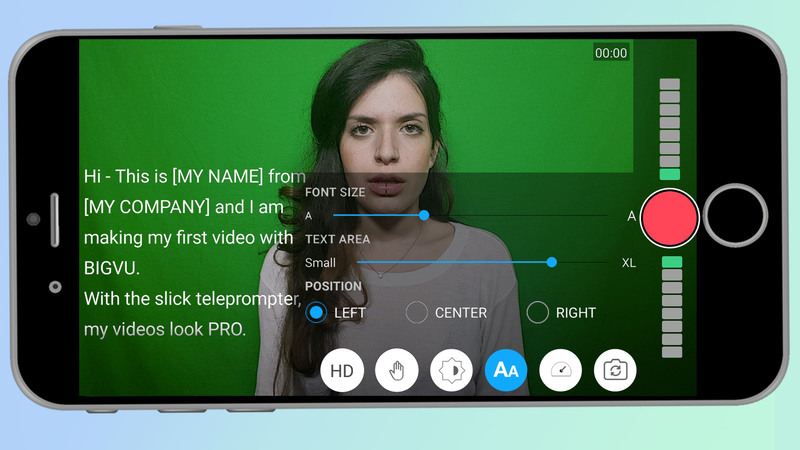 Font Size: Set the Font Size according to your distance from your phone while recording. A small font size is better for close range recording while a large font size is better for recording from a distance as it is easier to read the text. Text Area: Set the Text Area to adjust the length of the lines on your screen. If you are recording from a very close range we recommend keeping your lines short, in order to keep the words you're reading as close to the camera as possible and retaining eye contact. Avoid using a large text area while shooting from a close range as it might take your eyes away from the camera. Position (left, center, right) - ANDROID ONLY: This determines where your teleprompter is going to be on your Screen. Always adjust it so the words are as close as possible to the phone's camera that way your eyes will always be towards the camera. 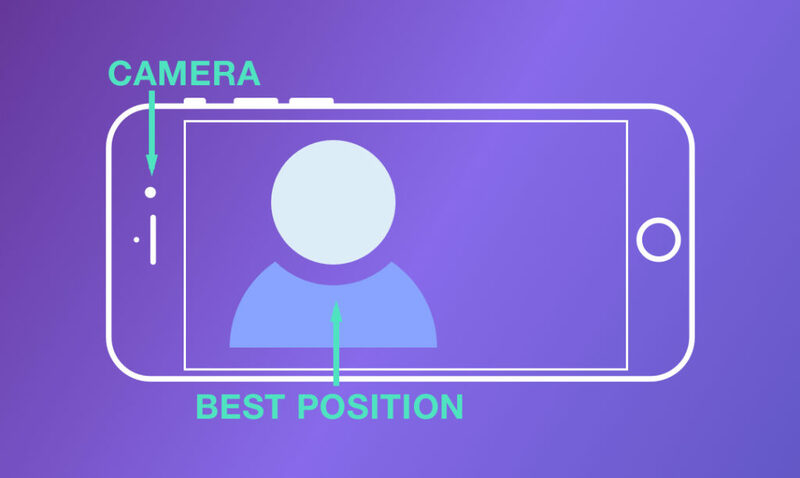 If you’re recording in landscape, always position yourself as close to the camera as possible so you’re looking directly at your audience.